“The highest number of babies I’ve delivered in a year is 84. 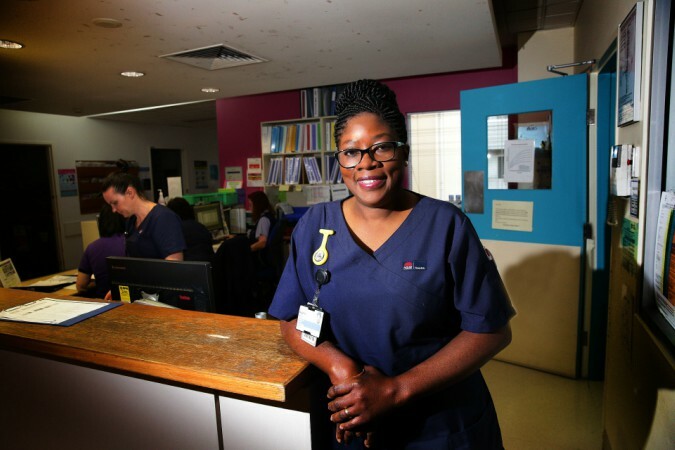 I’m now a senior member of the midwifery team, so I deliver less babies but I try to get more because I love it. I just love bringing new life into the world. Being the first person to touch these new babies is amazing. It’s so emotional and I love that. It can get challenging at times though. Being with a woman at the loss of a baby is very hard. You are their support person and provide them with advice. It’s especially hard when a woman has to make a decision about her pregnancy, for example if there is a fetal abnormality. There is no particular way of getting ready for something like this. Mostly you listen, you don’t say too much, or show too much emotion, but we are still human beings, and sometimes you have to cry with them. You just can’t breakdown too much. You have to be strong for them.